Chronic pain cuts through your entire life and also takes out your family. It’s a complex situation and there’s never a single solution. Many factors have to be addressed to contain its impact and solve it. It can be compared to fighting a forest fire. Every possible resource is necessary to extinguish one. If a wildfire becomes too large a general call for help is sent out. The first fire chief to arrive on the scene is the one in charge and sets up the base of operations. He or she has to coordinate the operation. The person that must take charge of your chronic pain is you. You are unique and even if your doctor could spend hours with you assessing your situation, he or she could not really know your life in enough detail to solve your problems. You are the only one who is experiencing your life through your eyes. 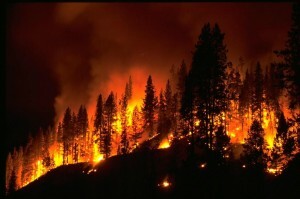 The essence of fighting a forest fire is assessing the situation, containing it and taking away its fuel. Extinguishing the blaze requires multiple strategies depending on the height of the flames, local terrain, weather and many other factors determine the choice of resources and strategy. For example, fire travels more quickly up a steep hillside, especially when it is dry and fanned by a strong wind. Compare that to a brush fire on flat land without wind and it’s raining. Lack of sleep, adrenaline stimulated by anxiety and anger, inflammation, stiff tissues, lack of conditioning, high narcotic doses, and staying focused on every detail of your pain amongst other factors add fuel to the fire. It’s illogical to think that there would be one answer that could resolve your pain. That includes surgery. In fact, there is ample data that shows that performing simple surgery in the presence of untreated chronic pain, such as a hernia repair, can induce chronic pain at the new surgical site lasting up to a year 30-40% of the time. There is a 5-10% chance of it becoming permanent. Chronic pain is seldom mentioned as a complication of surgery. Operating in the presence of a fired up nervous system is risky. It’s adding even more fuel to the blaze. Patients underestimate the terrible impact of living in chronic pain and also that surgery could even cause it. If I told you that I had a 5-10% chance of cutting the nerve to your foot so you could not lift it up, you would probably opt out of the surgery. However a foot drop is painless and much better tolerated than ongoing burning sensations down your leg. It’s a neurological problem that is different than acute pain. It’s sensed only in the emotional, not the pain center, of the brain. All the relevant variables must be simultaneously addressed. There is never a single answer. The patient takes control of his or her own care. Once a patient immerses him or herself in an organized self-directed program, he or she will improve or go to pain-free the vast majority of the time. The improvement includes both mental and physical pain, since they are the same entity. Your energy levels will rise and creativity re-enters your life. It’s always inspiring for me to witness these changes. Some people have dramatic shifts within weeks and others don’t hit that point for a year or two. I would estimate that most people experience significant improvements within three to six months. Deb is a social worker with a lot of energy. On a given week she has at least three or four projects going and she has over 40 employees. About six years ago she developed neck pain during a period when she was under a lot of work stress. It began as tightness in her neck. She had also been in several car accidents over the years and she had some pre-existing pain pathways. It persisted and evolved into a full-blown chronic pain problem. She’s quite focused and was so determined to find an answer that she did her Ph.D. thesis on chronic pain. She still couldn’t solve it. 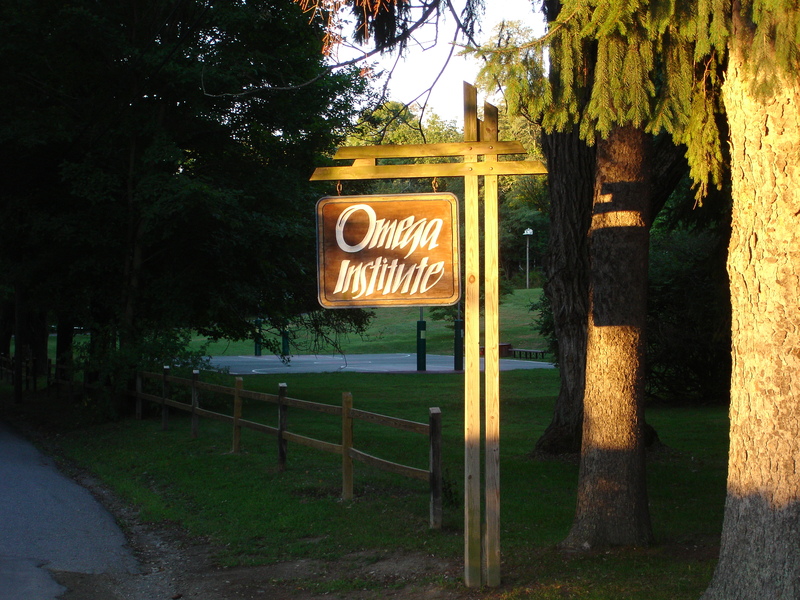 She attended the first Omega workshop that I put on with Dr. Fred Luskin, author of Forgive for Good, and my wife Babs, who is skilled in rhythm and movement. It was a five-day course that incorporated all of the principles of the DOC project including play. We had 11 participants that year and most of them experienced a significant improvement in their pain during the week. She wasn’t one of them. We kept in touch and she emailed me about 10 months later to let me know that she had gone to pain-free. The combination that worked for her was the expressive writing, restful sleep, discontinuing physical therapy, taking glucosamine and eating an anti-inflammatory diet. She was already aware of the role of forgiveness. I’ve kept in close touch with her and she’s continuing to do well. Surgery somehow has been held out to the public and to non-surgeons that it’s the definitive answer for your pain. The main indication is, “If all else has failed”. Not only is the long-term success rate for a fusion for LBP less than 30%, there’s a significant complication rate including increasing the pain. You have a unique life with a lot of variables that can and will increase your pain. Take charge of your care and utilize and and all of the necessary resources to solve your pain. Your life depends on you taking action. Remove the fuel feeding the fire. Rose, Mark, et al. Optimizing Opioid Safety and Efficacy.NetCE • November 3, 2017. Course 95140. The overview of the effect of pain is from the NetCE article. O’Connor AB. Neuropathic pain: quality-of-life impact, costs and cost effectiveness of therapy. Pharmacoeconomics. 2009;27(2):95-112. Fredheim OM, Kaasa S, Fayers P, Saltnes T, Jordhøy M, Bortchgrevink PC. Chronic non-malignant pain patients report as poor health related quality of life as palliative cancer patients. Acta Anaesthesiol Scand. 2008;52(1):143-148. Institute of Medicine.Relieving Pain in America: A Blueprint for Transforming Prevention, Care, Education, and Research. Washington, DC: National Academies Press; 2011. Yaksh TL, Woller SA, Ramachandran R, Sorkin LS. The search for novel analgesics: targets and mechanisms. Tennant F. The physiologic effects of pain on the endocrine system. Pain Ther. 2013;2(2):75-86.